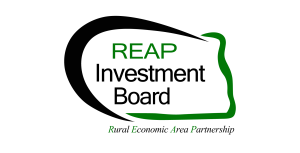 (DICKINSON, ND) – The Rural Economic Area Partnership (REAP) Investment Fund released the findings of a qualitative research project it had conducted earlier this year. The project explored attitudes and perceptions of the development and support environment for small businesses in Stark County. “We had some really outstanding people participate in these focus groups and they shared revealing observations that we cannot afford to ignore,” said Shirley Brentrup, executive director of the REAP Investment Fund. Two focus group sessions were held in June. One group consisted of Stark County small business owners. The second group was made up of lenders and economic development professionals. “Our hope is these findings will serve to strengthen and improve the support network for small businesses in Stark County,” adds Brentrup. The project was funded by a grant from the Consensus Council. JM Strategies, LLC of Bismarck facilitated and managed the project.